Every year, the Geneva Auto Show is chock full of supercars as well as prestige cars and trucks, but there are some more sensible models on display, too. 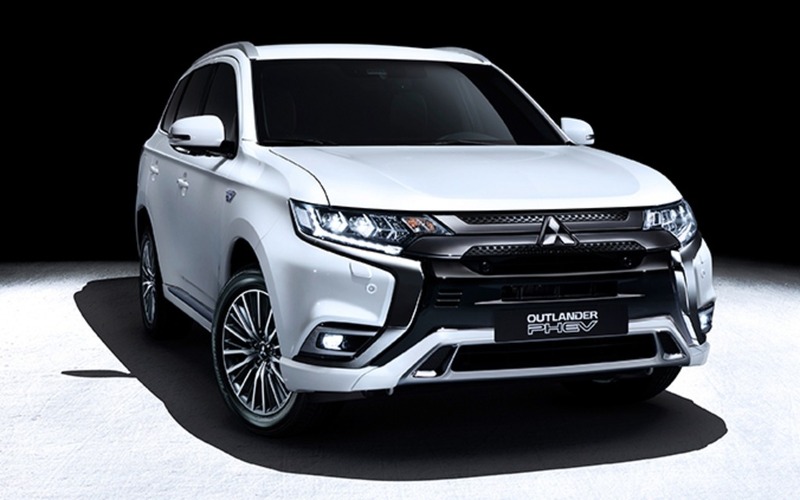 Japanese brand Mitsubishi presented the 2019 Outlander plug-in hybrid, which will get some significant powertrain changes. First of all, the 2.0-litre four-cylinder engine will be replaced by an Atkinson-cycle, 2.4-litre engine that Mitsubishi says provides more torque and is more efficient. The electric motor located at the rear will be 10% more powerful, now rated at 88 horsepower, while the front motor remains at 80 hp. The battery pack’s capacity will be 15% greater, rising from 12.0 to 13.8 kWh, and output will also be up by 10%. Total combined output and EV driving range will be increased, but the exact figures will be announced at a later date. The S-AWC all-wheel drive system, which already includes Normal and 4WD Lock settings, will gain a Sport mode for a more dynamic drive as well as a Snow mode for better control on slippery surfaces. The Outlander will also receive yet another styling update, with LED headlights, reshaped fog lamps and grille, a new 18-inch alloy wheel design and a bigger tailgate spoiler. The cockpit will benefit from quilted leather upholstery, redesigned front seats, a new instrument panel and other minor details. The 2019 Mitsubishi Outlander PHEV will hit the European market this fall, and should arrive in Canada soon thereafter. The plug-in SUV has just been introduced in our market this year, but it’s been on sale in Europe since 2013 and has been the continent’s best-selling PHEV in 2015, 2016 and 2017.